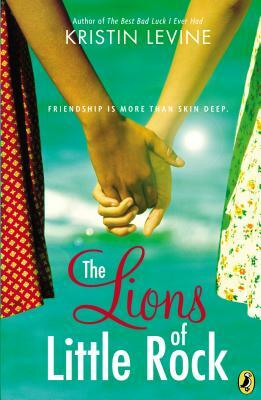 When my daughter asked me to buy Kristin Levine’s The Lions of Little Rock (Puffin Books, 2013), she knew I’d say yes. What Levine has done is imagine what happened the year after the Little Rock Nine fought their way through 1957-58, and Ernest Green became the first African American to graduate from Central High School. In 1958-59, after the 101st Airborne had left the policing of the situation to the Arkansas National Guard, Governor Orval Faubus closed all the Little Rock high schools rather than comply with the federal desegregation order. That year, Levine’s seventh-grade protagonist Marlee is a painfully quiet math whiz when she enters all-white West Side Junior High, the same school my mother, uncle, and several other relatives attended before this story takes place. This was written by Stephanie Harp. Posted on Saturday, March 29, 2014, at 3:59 pm. Filed under 1957, African American history, Arkansas, books, Little Rock, racism. Bookmark the permalink. Follow comments here with the RSS feed. Post a comment or leave a trackback.